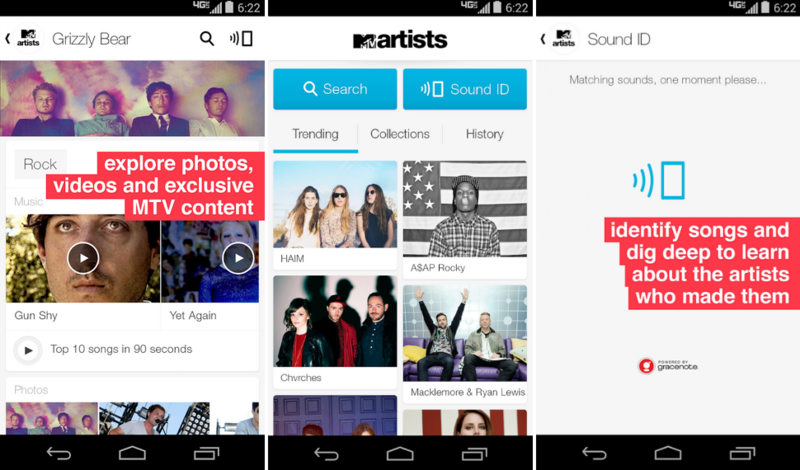 A new app from MTV (previously known as Music Television, but it’s nowhere near that now), released onto Google Play this week, titled MTV Artists. The idea of the app is to allow fans a better way to engage with any given artist they like. It won’t offer you backstage passes to their next show, but it will identify songs for you (like Shazam or Google’s Sound Search), entertain you with “thousands” of music videos, and let you view tons of concert photos from your favorite artists. On top of all of those goodies, there are also a lot of free MP3 tracks that users can download, plus there is a Top 10 countdown which you can check out that lasts just 90 seconds. It’s definitely a “hip” app, so if you still believe that MTV is doing something good for this world, go check it out. A huge catalog of phones showcasing bands and artists in concert. Thousands of free music videos. Get a quick taste of artists with top 10 songs in 90 seconds. Fun and informative infographics and artist bios make you an expert in seconds.